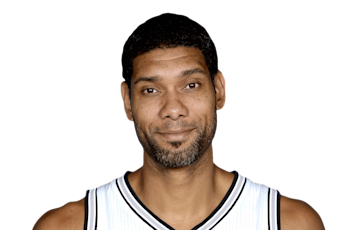 SocraticGadfly: Tim Duncan retires; Spurs better off? Yes, it sounds like heresy to say the 2016-17 San Antonio Spurs may be better off without the Big Fundamental, Tim Duncan, after he announced his retirement. So, call me a heretic. First, I'm going to assume that his right knee remained baulky. Second, I'm going to state for the record, not just assume, that Pau Gasol in current health and age will be a better defensive as well as offensive player. No, peak Pau was not peak Timmeh. But TD was NOT a rim protector last year and Pau will at least be 50 percent of one. Yes, Duncan has the third best defensive win shares, says Basketball-Reference, in league history. But Pau is in the top 60, and in general, is modestly on the plus side. Yes, a healthy Timmeh was great at defending the pick-and-roll and neither Gasol nor Lamarcus Aldridge are. But, TD wasn't fully healthy last year and might well not have been, at least in hoops terms, for the year ahead. Gasol is still a good shot blocker and at least an OK defender. Third, I'm going to note Pau's at least as good a passer, and a better outside shooter. Fourth, I'll note for the record that, between regular season and playoffs, Gasol has 15,000 fewer miles on the odometer. Even though Gasol had played just four fewer seasons, that's the equivalent of almost five seasons, really. Fifth, Gasol is at least a vague 3-ball threat, with a higher effective shooting percentage, whereas Duncan was a nothingburger outside the arc. This lets Kawhi Leonard make the team his, especially if Pops makes sure Tony Parker gets that message. I assume Manu Ginobili is back with the Spurs .... and as productive as late last season. Can Patty Mills step up more? And, what's the long-term answer at the point? How much of a pay cut will TP accept after 2017-18? Will Pops stick? I think he will. That said, had the Spurs not landed Gasol, TD might have come back. And he would have made the team better than one without either big. Oh, you and I will see a more uptempo Spurs team next year.